There is no shortage of big dramas in A-shares! Yesterday evening,Hongxin ElectronicsThe high-sending announcement was issued, and the controlling shareholder proposed to carry out a transfer of 10 yuan to 7 yuan. In terms of performance matching, Hongxin Electronics' estimated annual profit for 2018 is 116 million yuan to 1.37 billion yuan, a year-on-year increase of 60%-90%, but the government subsidies are as high as 56 million yuan, which means that if there is no government, the high delivery will be aborted. . It is worth noting that, not long ago, non-controlling shareholders just released a reduction plan of no more than 10.4 million shares. On the one hand, it is high-sending, and on the other hand, shareholders are reducing their holdings. The customary “cutting amaranth” artifacts of A-share listed companies are once again offered during the year, and this time it is a new stock that has been listed for only one year. Hongxin Electronics is a high-tech enterprise engaged in the R&D, design, manufacture and sales of FPC (Flexible Printed Circuit Board). Since its inception, it has focused on the FPC industry. However, the domestic FPC industry has a relatively low profit margin compared to foreign countries. The technology is relatively backward and the competitiveness is relatively weak. according toCaitong SecuritiesResearch, the domestic FPC market has not yet formed a complete industrial chain, domestic manufacturers are mostly limited by the lack of supporting equipment and raw materials, and are less competitive in the international market. However, many domestic-funded enterprises are still actively expanding production and trying to divide a certain market share. Hongxin Electronics is one of them. In the first year of Hongxin Electronics's listing, the results of the surrender were not satisfactory. Although the revenue recorded 1.478 billion yuan, an increase of 40.96% over the same period of last year, its net profit after deduction was only 15 million yuan, which was reversed to -56.99%. In the past, Hongxin Electronics gave two core reasons: First, downstream demand was less than expected; second, rising raw material costs. It should be known that the main product of Hongxin Electronics is FPC, and its downstream demand is directly dependent on the consumer electronics market. Hongxin Electronics' customers do not include international brands such as Apple and Samsung, but his downstream customers such as Shen Tianma, Ou Feiguang and Lenovo have reduced their orders last year and their demand has shrunk. The performance expectations are not good, and the secondary market naturally gives its corresponding valuation change. Since November 2017, Hongxin Electronics' share price has fallen from a high of 72 yuan/share to 25 yuan/share. Yesterday, Hongxin Electronics announced its 2018 performance forecast, with a net profit of 116 million yuan to 137 million yuan, a year-on-year increase of 60%-90%, of which government subsidies amounted to 56 million. Judging from the performance of the past four years, Hongxin Electronics' negative non-net profit in the past three years was negative. Tianyan Jun found that government subsidies have always played an important role in the financial report of Hongxin Electronics. In 2015, Hongxin Electronics received a government subsidy of 7.65 million yuan; in 2016, it increased to 15.16 million yuan; in 2017, it reached 85.52 million yuan, while the company's operating profit was 96 million yuan. In addition to the continuous government subsidies, Hongxin Electronics' short-term debt and accounts receivable are also high. Taking the three quarterly report of this year as an example, Hongxin Electronics disclosed operating income of 1.684 billion yuan, but the company's revenue bills were 200 million, and accounts receivable amounted to 918 million. 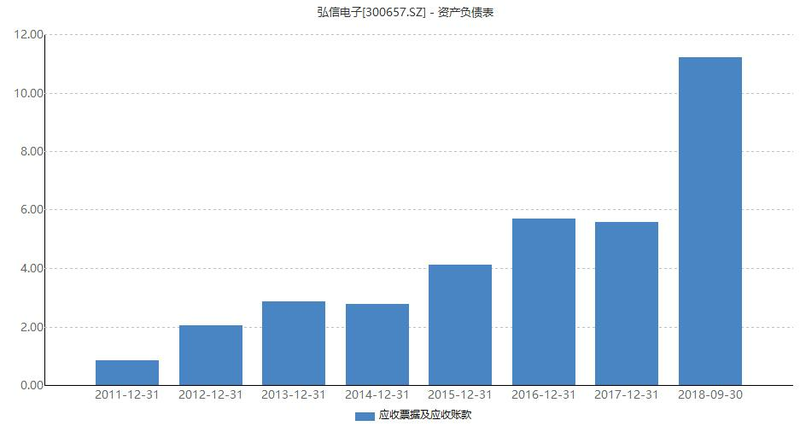 In fact, Hongxin Electronics' accounts receivable have maintained a rapid expansion trend for many years. 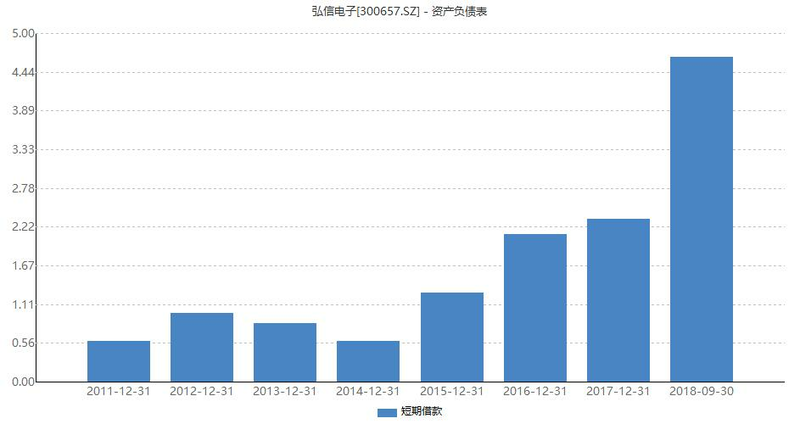 According to statistics, since 2011, the revenue of Hongxin Electronics has increased from 86.39 million yuan to 1.12 billion yuan, and 13 times in 7 years. Some people in the industry said that the main customers of Hongxin Electronics are mostly large customers such as Tianmawei and Oufeiguang, so the risk of recovering money is small. However, Hongxin Electronics apparently did not feel safe. On November 14, 2018, Hongxin Electronics and its wholly-owned subsidiary, Honghan Optoelectronics, jointly transferred their accounts receivable to Tianmawei up to 98 million yuan to Xiamen Guotuo; since then, Hongxin Electronics has carried out similar factoring business several times. On November 20, 2018, Hongxin and Honghan once again transferred accounts receivable of no more than 250 million yuan to unnamed domestic financial institutions and financial institutions. On December 1, 2018, the receivables amounting to 115 million yuan was further transferred to Xiamen Guoto. 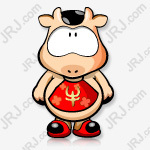 After several tossings, Hongxin and Honghan decided to use the accounts receivable of 500 million yuan as factoring. Hongxin Electronics explained that the company intends to use the realized income to repay the supplier's payment and bank loans, and reduce the financing cost. It is worth noting that Hongxin Electronics’ short-term borrowing also jumped this year. According to the annual report last year, the company's short-term debt was only 233 million yuan; but as of the third quarter of this year, the company's short-term debt directly doubled to 466 million yuan. In order to alleviate the financial pressure, Hongxin Electronics passed a fixed capital increase of 722 million yuan at the recent shareholders meeting, but the current review meeting and the CSRC have not yet approved. If it is said that the high-level accounts receivable is the concern of Hongxin, the shareholders of Hongxin Electronics are also worried. Judging from the list of the top ten shareholders of Hongxin Electronics, the 2018 mid-year report, Shanghai Financial Development Investment Fund, State Venture Capital, Dachen Venture Capital, and Social Security Fund all rushed into Hongxin Electronics; but in the third quarter of 2018, in addition to the social security fund maintenance In addition, the remaining venture capital institutions are reducing their holdings. Tianyan Jun can't help but doubt that these shareholders are consistently just entering the market. Is it a crisis? 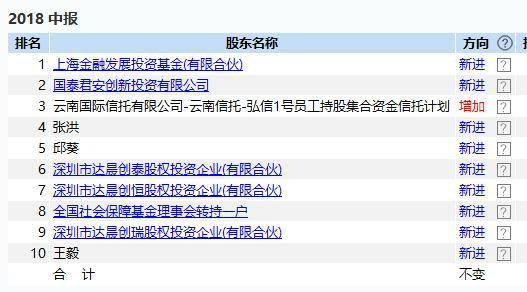 It is worth noting that Shanghai Financial Development Investment Fund is the second largest shareholder of Hongxin Electronics. According to Tianyinjun statistics, in the second half of last year, the Shanghai Financial Development Investment Fund carried out 17 reduction operations. 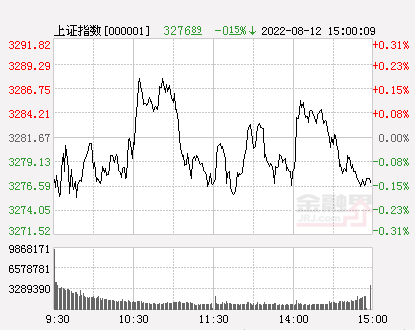 In addition, another tradable shareholderGuotai JunanIn the early stage of the reduction of venture capital, there is always a sign that the stock price is rising. On December 7th, the shareholders of Hongxin Electronics Dachen Venture Capital also issued a reduction announcement, saying that Dachen is planning to reduce its holdings by no more than 4.16 million shares through block trades or collective auctions, totaling no more than 4% of the company's total share capital. .
At the same time as shareholders frequently announced the withdrawal plan, Hongxin Electronics chose to announce the “high delivery plan” and it is planned to distribute 2.5 yuan for every 10 shares. And the routine of "reducing the holdings and turning the sides high" is not the cutting method of A-shares that has never been lost for many years? Yesterday after the announcement of the positive, many investors rushed into the market early this morning, the stock price once rose by about 8%, but the closing price increase was only 1.17%, a heavy volume of long shadows. Hongxin Electronics: The controlling shareholder proposes to transfer $2.50 for 10 to 7 in 2018. Hongxin Electronics faces greater debt repayment pressure. Eight major shareholders have cashed out 166 million in half a year. The cyclical stock ice angle is beginning to show up, and the capital chasing giant wheel is open? The Social Security Fund plans to reduce the number of shares held by the Bank of Communications. Cooling signal? How to get A shares? 2 has doubled! The list of the most complete "star-capped" caps is here. Do you want to add a position? Brokers are still arguing that private placements have already taken action!